Thermo Fisher Scientific Niton is the producer of the Niton hand-held X-ray fluorescence (XRF) Analyzer. The Niton X-Ray Fluorescence (XRF) Analyzer is a handheld portable instrument that has the potential to detect elements from Mg to U on the periodic table. These XRF instruments enable users to analyze samples with a simple push of a button. 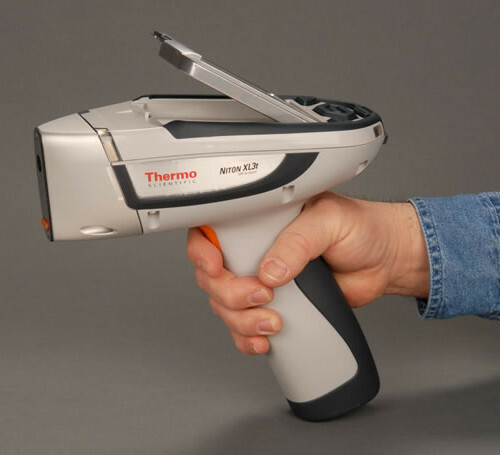 The handheld XRF analyzers provide potential analysis of up to 32 elements simultaneously. Offered in a package the instrument comes standard with batteries and a battery charger, software, pc connection cables and locking carrying case. The Thermo Fisher Scientific Niton Handheld XRF Analyzer has a built-in color touch screen that can be tilted to suite your viewing angle. Niton Handheld XRF Analyzers provide with you with non-destructive on-site elemental sample analysis. 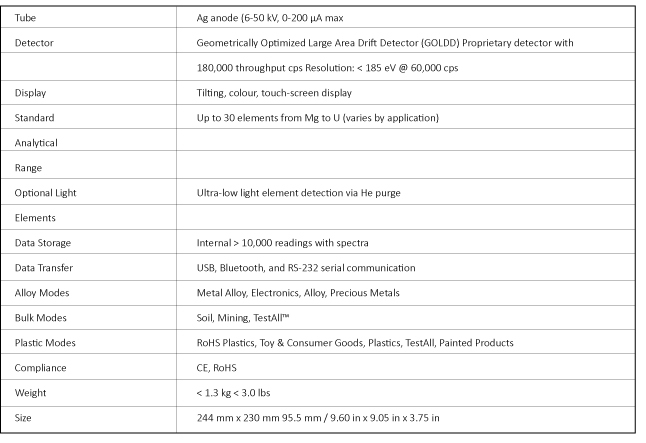 All Northern ANI Niton XRF Equipment complies with the RED Act in Canada. Only RED Act Compliant XRF will be available in Canada. For more information on The Thermo Fisher Scientific Niton XRF Analyzer please contact us.